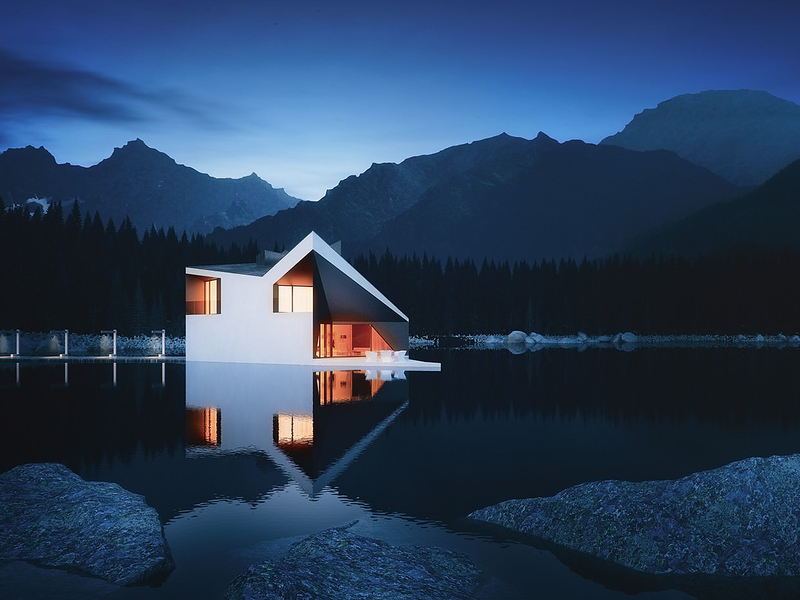 HomeBlogArchitectureCrown House by 81.WAW.PL – Visualization by Michal Nowak. 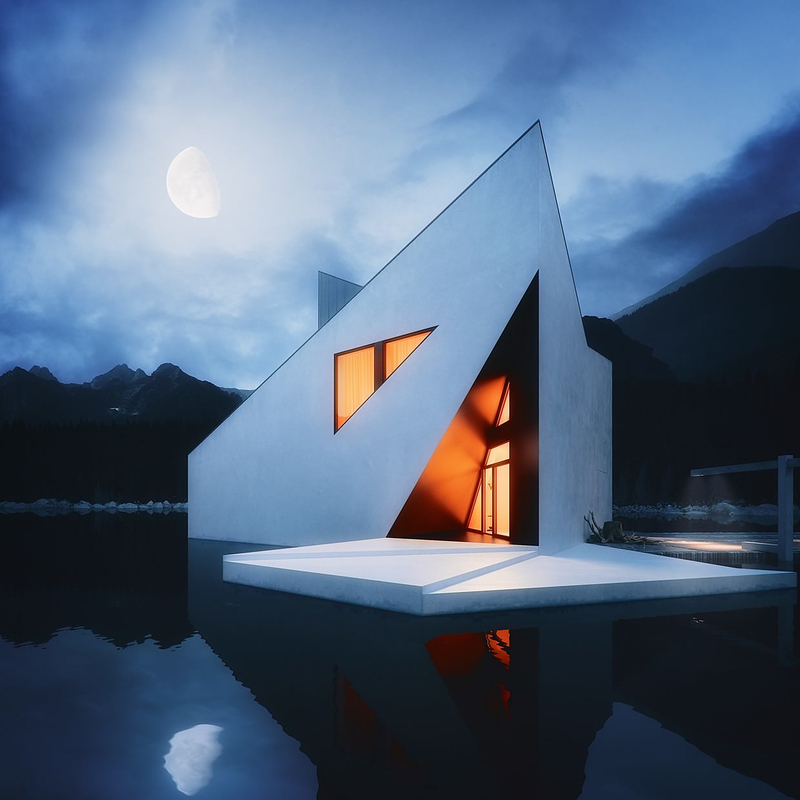 Crown House by 81.WAW.PL – Visualization by Michal Nowak. 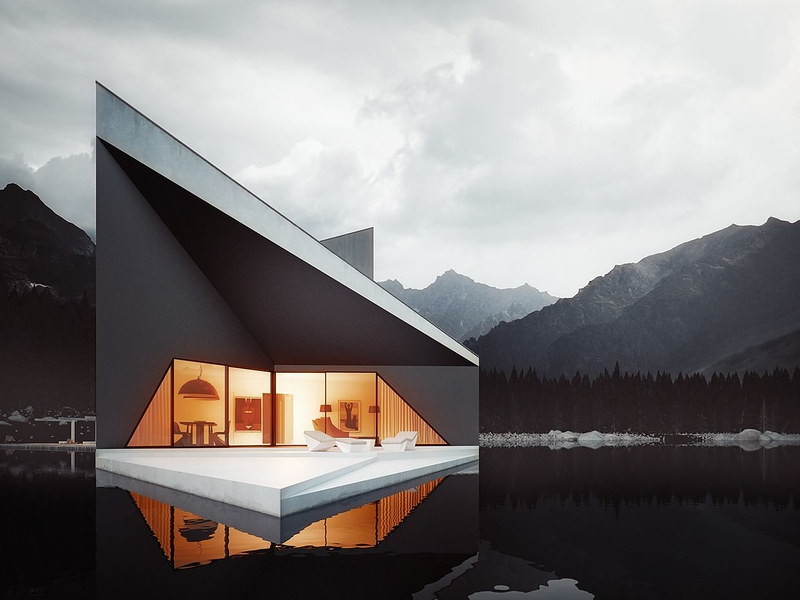 The Crown House by polish architectural practice 81.waw.pl is a delightful concept of a lakeside house featuring stark minimalist lines and clean modern looks. The concept takes us a step into nature, as the breathtaking natural surroundings are a core element of the design approach. 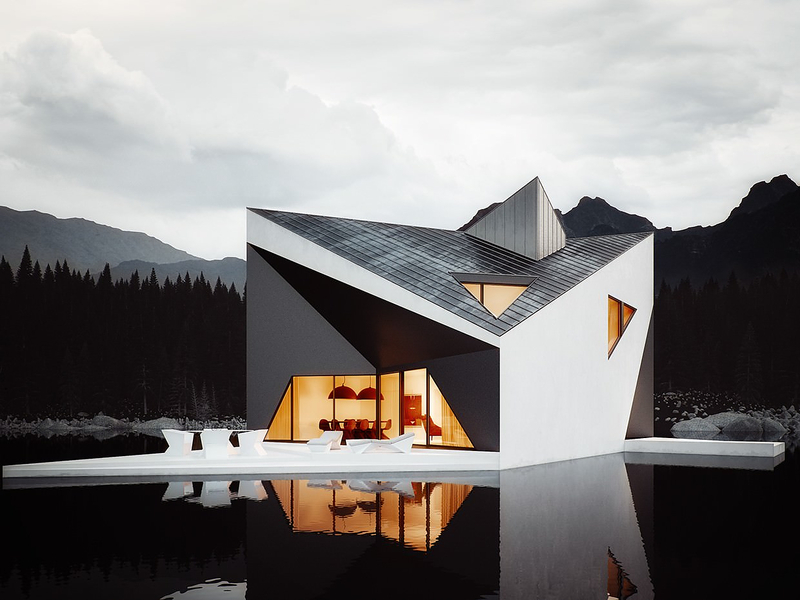 The building itself is shaped like a crown and it is defined by strict geometric lines and bold creative vision. 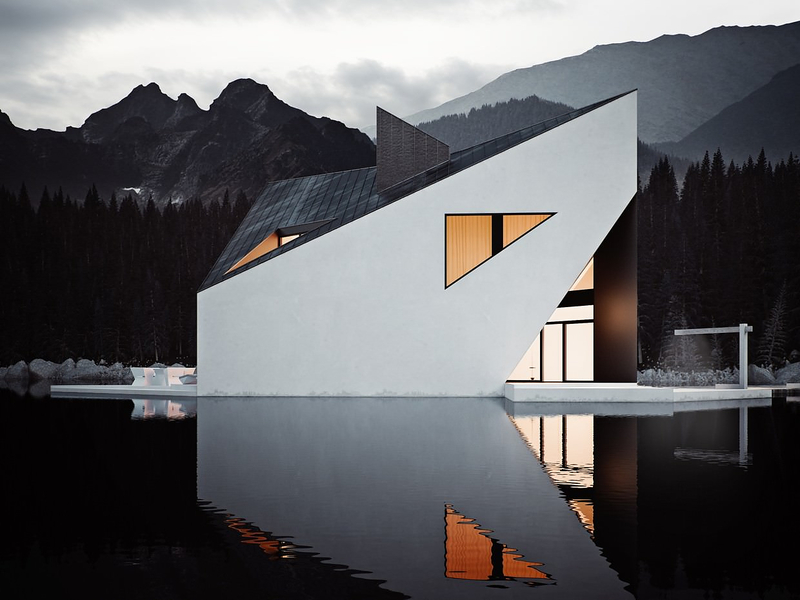 The choice of white-black exterior colors create an interesting contrast with the mountain scenery and the dark color of the lake upon which the building sits. 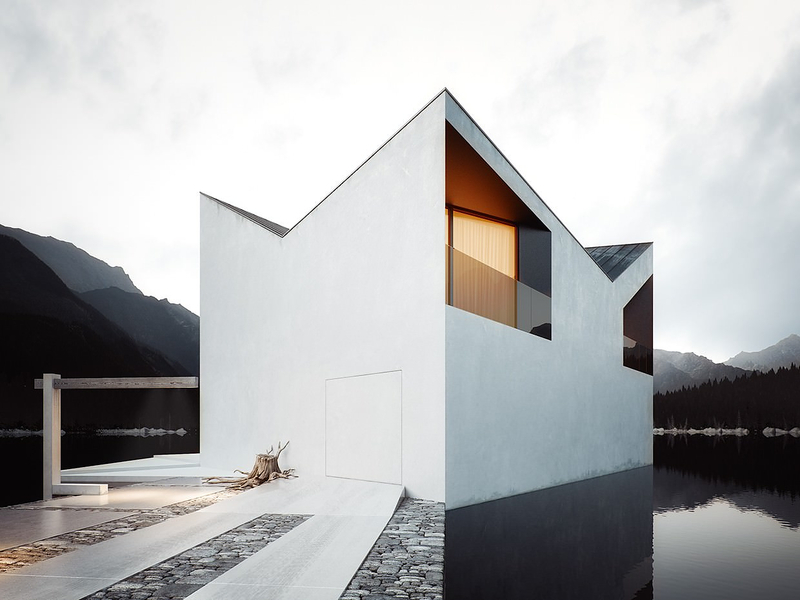 Yet while the structure is imposing, it still remains in balance with the wild natural surroundings. 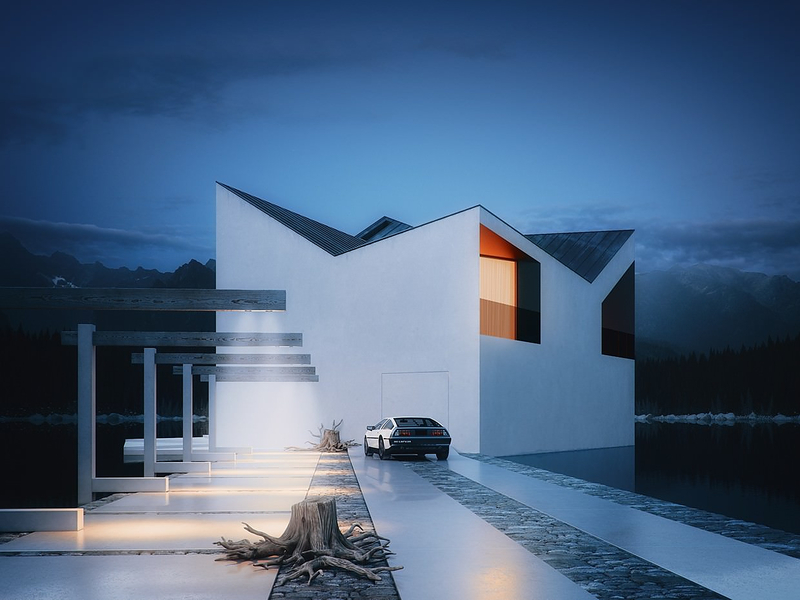 The Crown House has not been built (not yet at least) but the excellent rendering done by graphic designer Michal Nowak is so convincing that it produces a stunning “almost real” result. Dragon King Harbor River Pedestrian Bridge by NEXT Architects. Spomenik The Monuments of Former Yugoslavia. 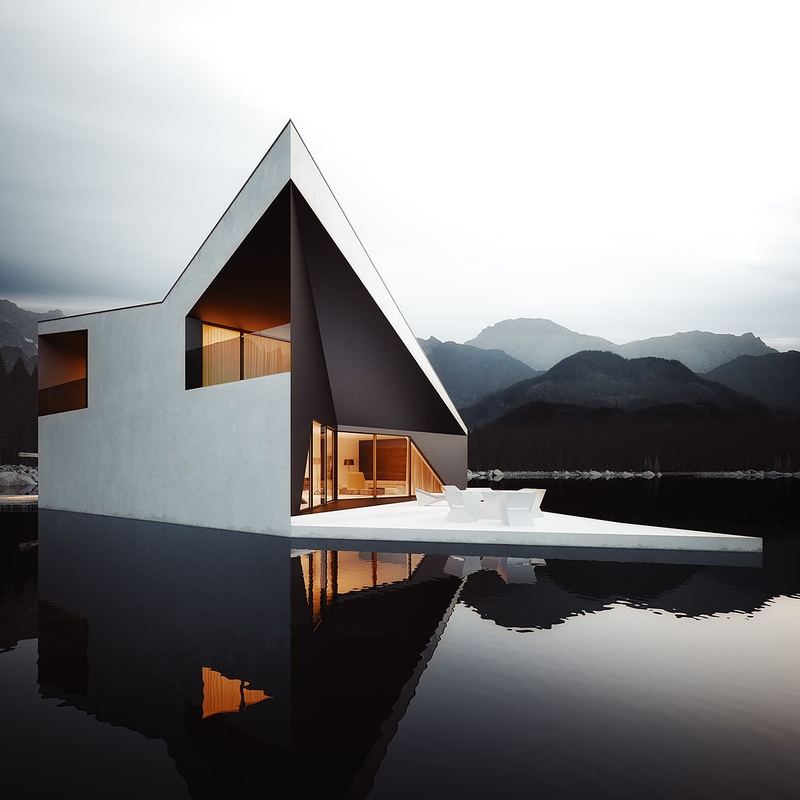 House in Tamatsu, Minimal Architecture by Kenji Ido.